"Fantastic" focus: Marvel Entertainment has kicked off the summer movie season with early May blockbusters every year since 2007. Last year it also took over early August with its launch of "Guardians of the Galaxy." Marvel and Disney's "Avengers: Age of Ultron,"which kicked off this summer, has grossed $456.9 million in 14 weeks. 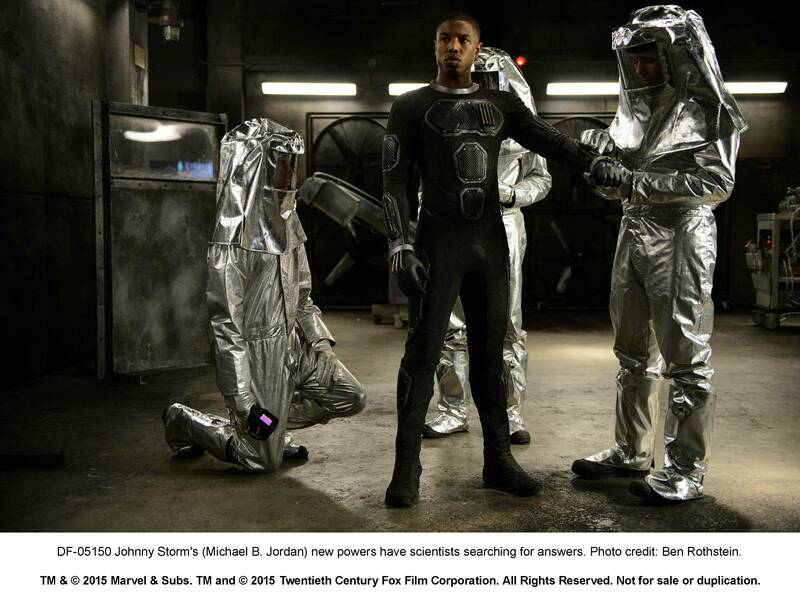 Now Marvel's back in thelate summer game with this weekend's arrival via 20th Century Fox of its PG-13 rated sci-fi action adventure franchise reboot "Fantastic Four" at about 3,800theatres. While expectations for "FF"aren't in the rarefied "Ultron" universe or even in the "Guardians" galaxy, it's coming into a marketplace that's been sizzling all summer. Last weekend, for instance, saw Paramount's "Mission: Impossible – Rogue Nation" open to $56 million, which was much more than insiders had been projecting. 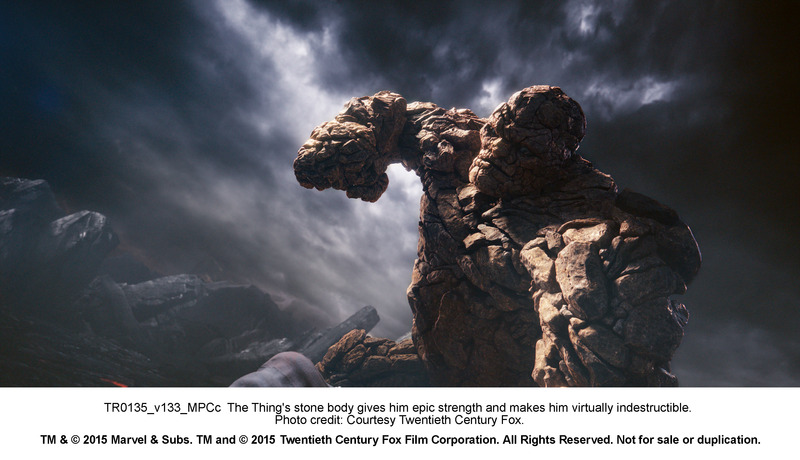 "FF"is the third film in the franchise that began July 8, 2005 with Fox's $56.1 million opening of "Fantastic Four." It went on to gross $154.7 million in domestic theatres. Directed by Tim Story ("Barbershop"), it starred Ioan Gruffudd, Michael Chiklis, Chris Evans and Jessica Alba. Its success led to the sequel"Fantastic 4: Rise of the Silver Surfer," which opened June 15, 2007 via Fox to $58.1 million and ended up doing $131.9 million domestically. Directed again by Tim Story, it re-teamed Gruffudd, Chiklis, Evans and Alba. A second reboot episode, "Fantastic Four 2," is scheduled to arrive from Fox June 9, 2017, putting it in prime summer playing time. The new episode, a contemporary re-imagining of Marvel's original and longest-running superhero team,is directed by Josh Trank ("Chronicle")and stars Miles Teller, Kate Mara, Michael B. Jordan and Jamie King. The comic book "Fantastic Four," created by Jack Kirby and Stan Lee, is a very special Marvel property. When it was first published in 1961, it started what became the wildly successful modern era of Marvel Comics. It was Marvel's first take on a different kind of superhero. Marvel's new characters were flawed just like real people and readers could easily relate to them. The new film'score audience should be male comic book action fans, but it could also attract some young female moviegoers since one of its superheroes is female. Mara plays Sue Storm/The Invisible Woman, Alba's dual rolesin the first two episodes. The film's four young outsiders teleport to an alternate and dangerous universewhere their bodies aredramatically altered, forcing them to use their new powers to save Earth from destruction by a former friend turned enemy. The reboot will arrive in a very different marketplace from the one "Guardians" landed in a year ago via Disney. Last summer was a lot quieter at the boxoffice than is the case now and "Guardians" faced modest competition in the marketplace when it arrived. It struck gold with a $93.4 millionopening that was way more than expectations at the time. It then went on to gross $333.2 million domestically, a staggering success for a property that wasn't one of Marvel's top tier comic books. When "Guardians" opened the only holdover film in the Top Ten with a cume over $100 million was "Dawn of the Planet of the Apes" ($189.3 million). "FF" is coming into a marketplace where four of the Top Ten films have cracked $100 million – "Jurassic World" ($631.5 million), "Inside Out" ($329.6 million), "Minions" ($287.3 million) and "Ant-Man" ($132.1 million). "Guardians" went into the record books as August's highest grossing release ever – way bigger than earlier August hits like "The Bourne Ultimatum" ($227.5 million in 2007), "Rise of the Planet of the Apes" ($176.8 million in 2011) and "We're the Millers" ($150.4 million in 2013). The reboot of "FF" will benefit from being a title moviegoers have high awareness of because of the franchise's earlier episodes. And there could be curiosity about how the storyline and characters have changed for the reboot. Very little advance info about such changes has been released prior to the film's opening, but the marketing showsthat we're in a sci-fi world where our four title characters get their superpowers after entering an alternate universe. "FF" should also benefit from being the only new film entering the marketplace this weekend that's targeted to male action fans. Wednesday will see the arrival at about 2,200 theatres of the PG rated comedy adventure "Shaun the Sheep Movie" from Lionsgate, Aardman Animations and StudioCanal, which should attract moms-with-kids. It's from first-time feature directors Mark Burton & Richard Starzak and stars the voices of Justin Fletcher, John Sparkes and Omid Djalili. Aardman produced the animated hit"Chicken Run," which opened June 23, 2000 via DreamWorks to $17.5 million and went on to do $106.8 million domestically. TriStar Pictures' PG-13 rated music comedy drama "Ricki and the Flash" is opening Fridayat about 1,800 theatres. Directed by Jonathan Demme ("The Silence of the Lambs"), it stars Meryl Streep, Mamie Gummer (Streep's real-life daughter) and Sebastian Stan. It should do best with adult women, so it's not going to take anything away from"FF." Bottom line:Hollywood's had a fantastic summer at the boxoffice so far – and it's not over yet!